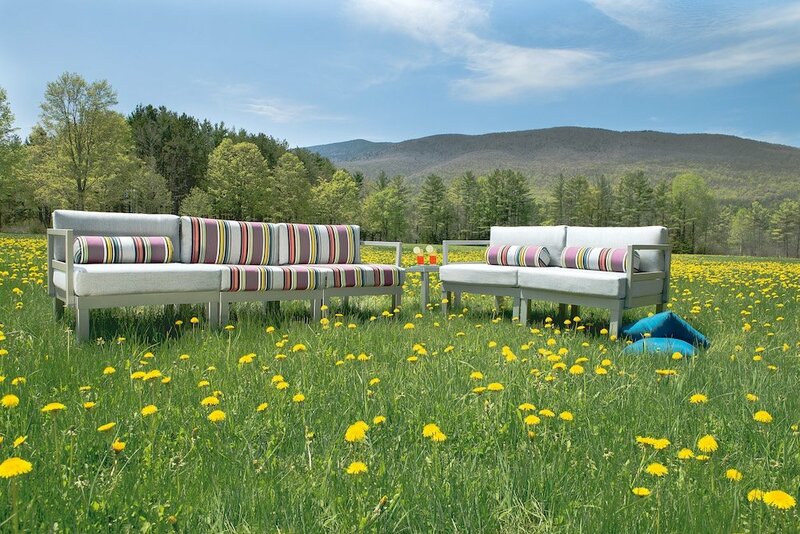 Woodard is a patio furniture company that has been in the business for over 150 years! They manufacture furniture in a range of materials including aluminum, wrought iron, and woven materials. Their furniture is very high quality and made to last. The question remains, though, how do you recognize a piece of Woodard patio furniture? Let’s find out. It is often quite obvious that you’re looking at a piece of Woodard patio furniture if you look at the quality. Woodard is top-quality patio furniture. Their wrought iron patio furniture is pretty distinguishable by quality alone. If you’re not sure whether a piece of patio furniture is a Woodard, you can look for manufacturing marks. Embossed names – these are found on furniture that is wrought iron. They are often located on a frame that holds cushions and simply say “Woodard”. Metal labels – these are labels that have been welded on to a frame like a sofa or a chair frame. They are embossed with "Woodard" and might contain an identifying number. If your piece of iron furniture has been painted several times, it might be difficult to see these labels at first but they should be visible on close inspection. If you’re buying new Woodard furniture, always buy from a reputable company. There is a webpage on the Woodard website showing you the locations across the USA where you can buy Woodard furniture. The even have a stockist in Puerto Rico listed on their site! When Is The Best Time To Buy Your New Patio Furniture Set?